1 Combine Hellmann's® or Best Foods® Light Mayonnaise with sauce in large bowl. Stir in remaining ingredients. Serve chilled or at room temperature. 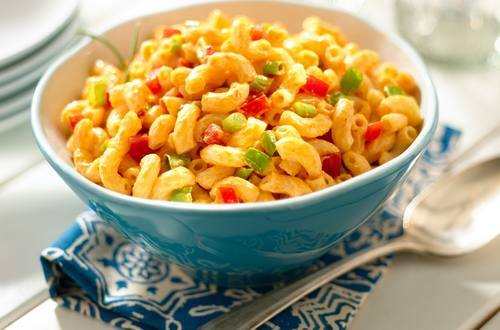 For SUPER EASY PASTA SALAD: Use 1 can (14 oz.) corn OR black beans, drained, instead of green onions and bell pepper.